Thatching Advisory Services Thatch Alert Chimney Monitor System. Our system was chosen to be included in the Listed Heritage Shopping section of The Listed Property Owners Club Magazine. 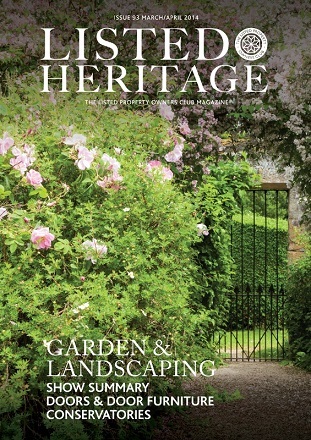 Listed Heritage Magazine is a high quality magazine which is distributed to 19,000 listed property club members. Thatching Advisory Services have recently updated and re-written their fire protection for thatched homes leaflet. The leaflet contains information on the different thatch fire protection products and systems available, including – TAS100 Thatch Fireboard, Thatch Firewall Membrane, Thatchbatts®, Thatchsayf – Fire Retardant Spray and our chimney monitor system, the TAS-33 Thatch Alert .